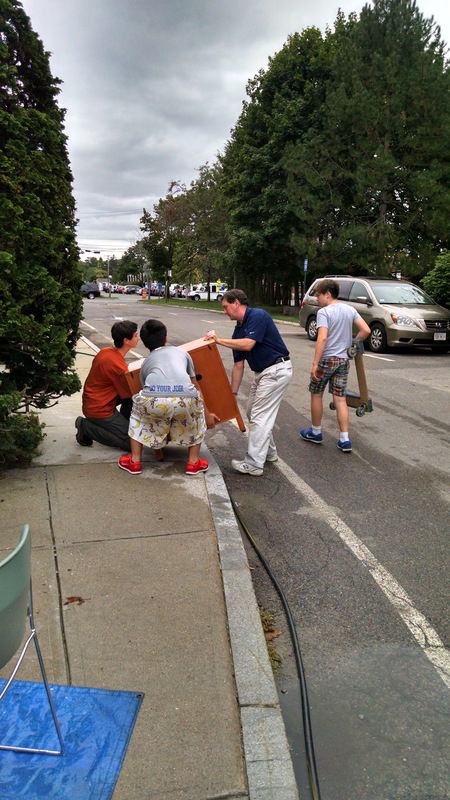 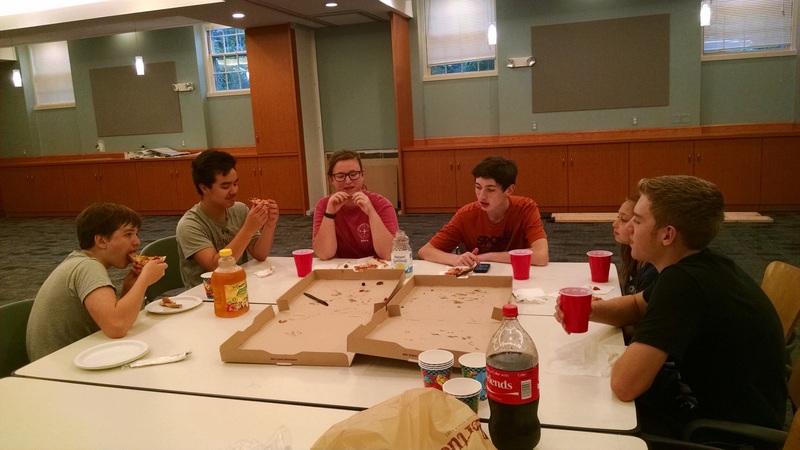 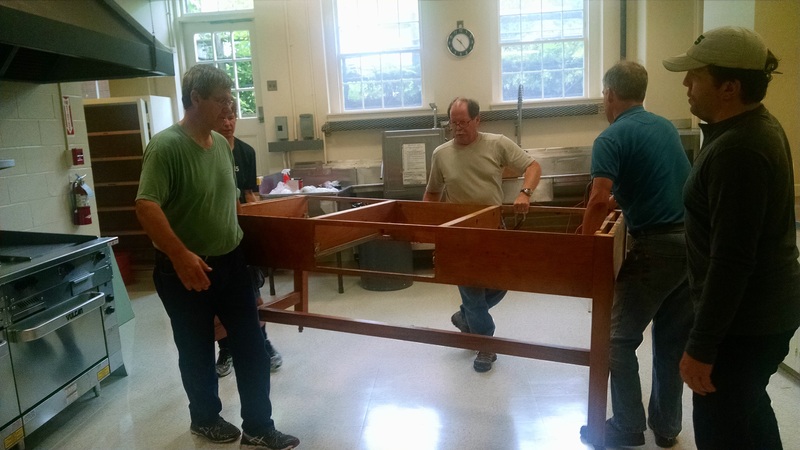 These photos are a little late — things get very busy around Redeemer in September! 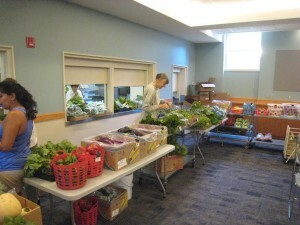 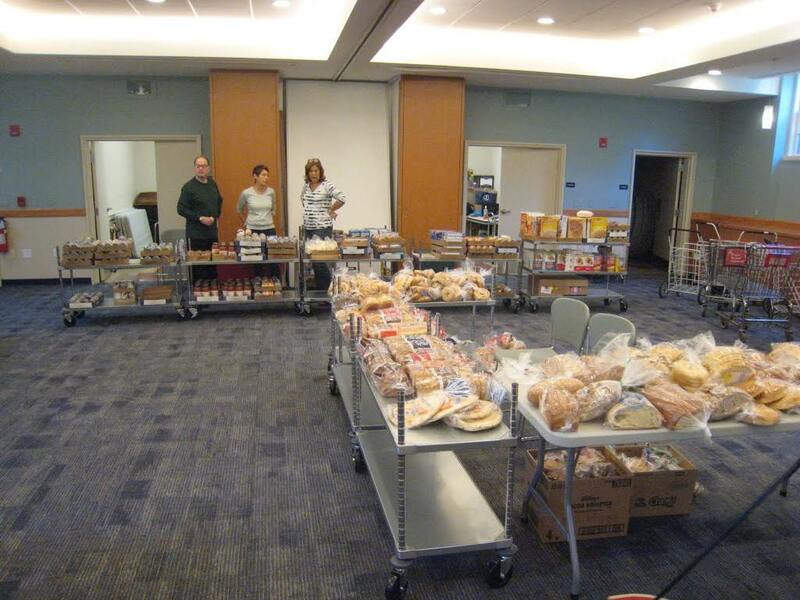 — but we wanted to share how well the Move-In Day went and the Food Pantry in action in its new home. Enjoy! 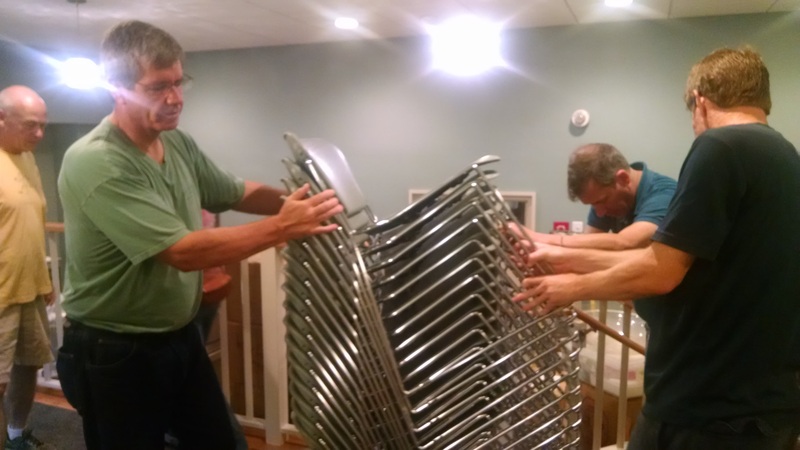 Friday night the big task was washing all 100 chairs. Also the Atrium 3 furniture was moved in. 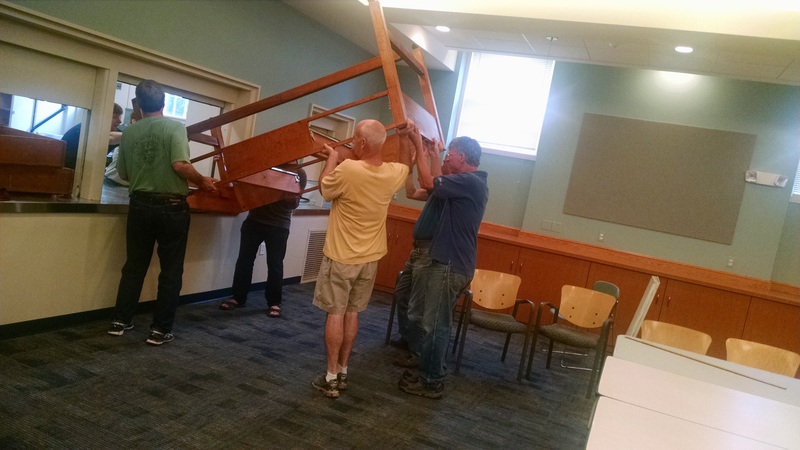 Saturday morning the Men of Redeemer moved the chairs into the new hall. Getting the kitchen table in was the tricky part. 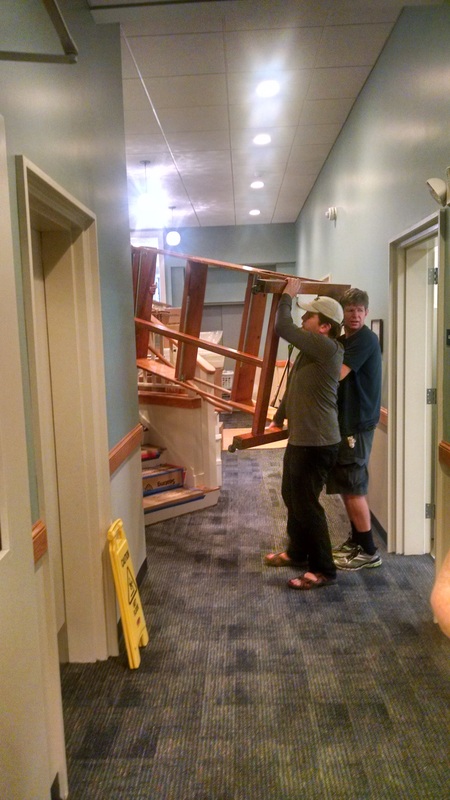 It wouldn’t fit through the door, but did go through the window. 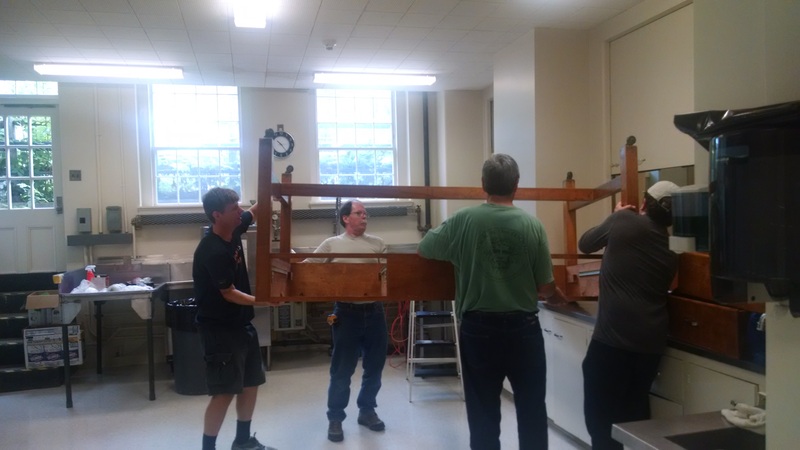 …And was passed through into the kitchen. 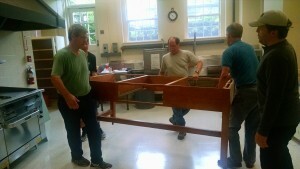 Voila the table is in! 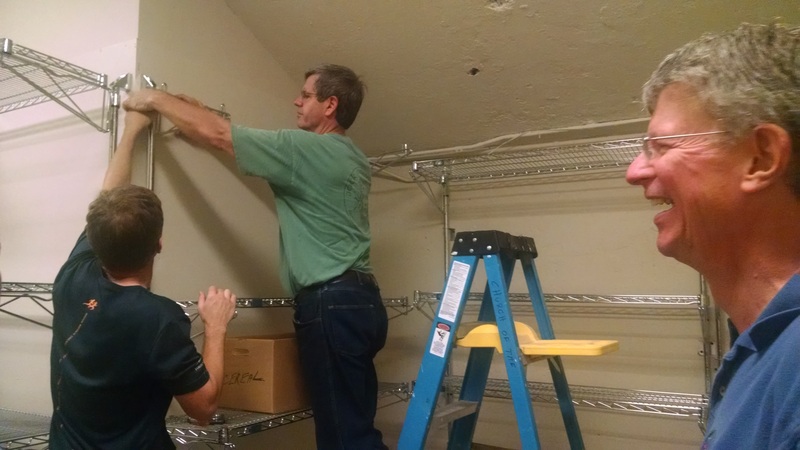 Then it was time to install all the Food Pantry shelves. 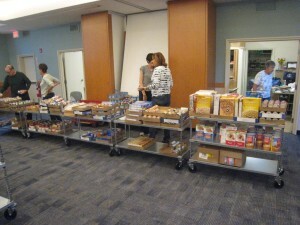 The next Saturday, the Food Pantry was back in business. 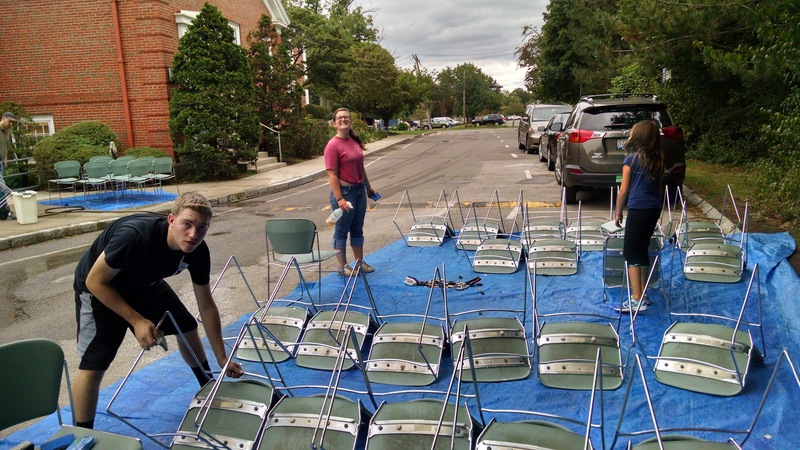 …using all the carts Redeemer volunteers had assembled earlier in the week. The Food Pantry looking good in its new home!